Made from 100% fine worsted wool. 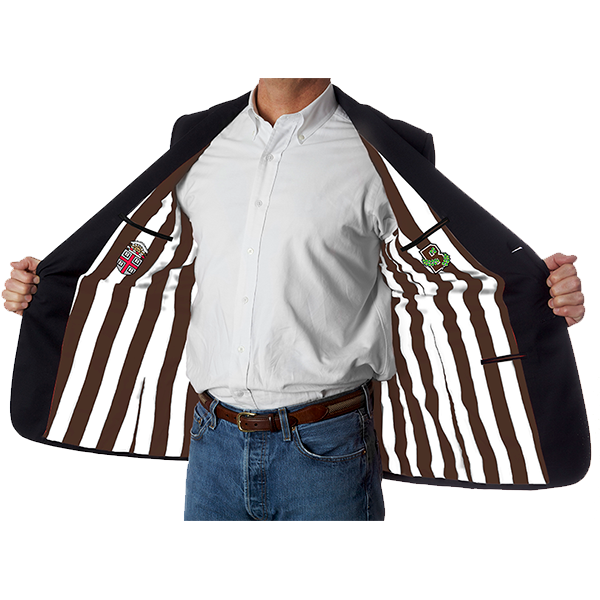 Stylish blue blazer featuring brown and white striped inner liner. Brown Crest sewn into right inside pocket and Ivy B logo sewn into left inside pocket. Gold buttons emblazoned with Ivy B logo. Please select option for Blaze-In Brown Blazer - $299.99. Please select option for Cutter & Buck Lakemont Vest. 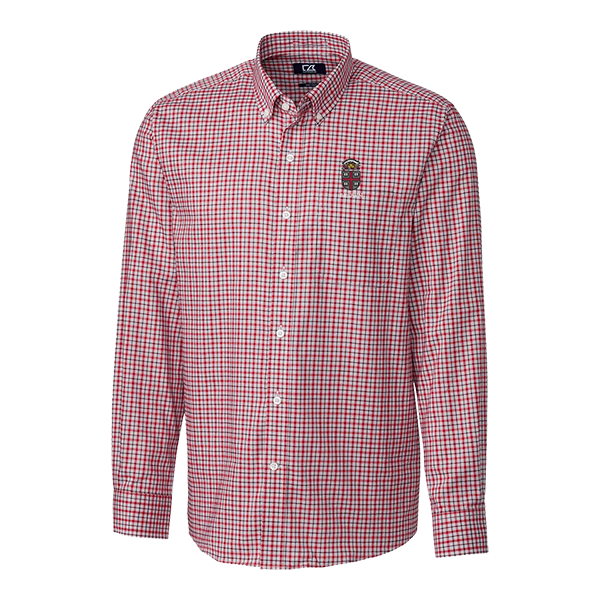 Please select option for Cutter & Buck Lakewood Button-Up. 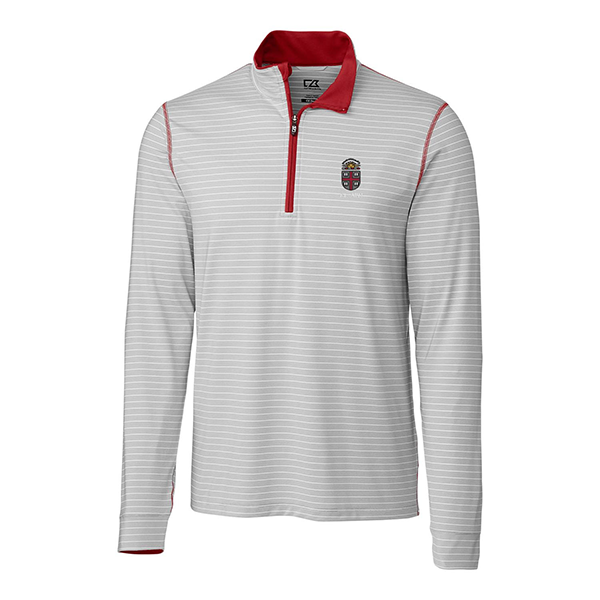 Please select option for Cutter & Buck Meridian 1/4 Zip Pullover. Hillflint, 60% cotton 40% acrylic. 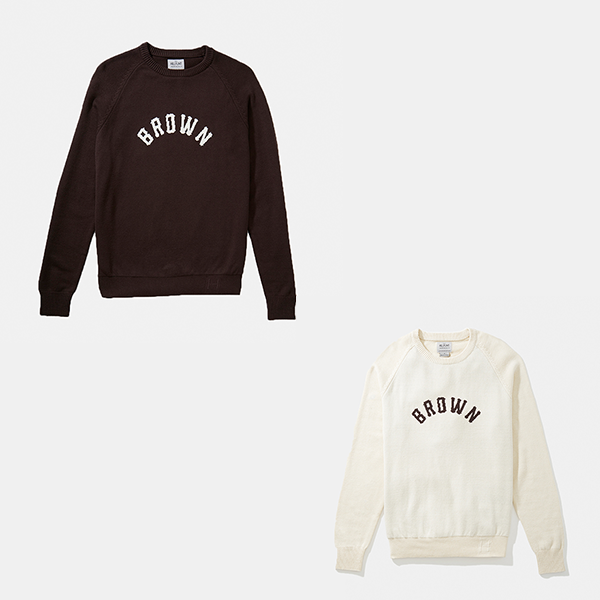 Crewcut sweatshirt featuring 'BROWN' imprinted in cream on brown, or brown on cream. 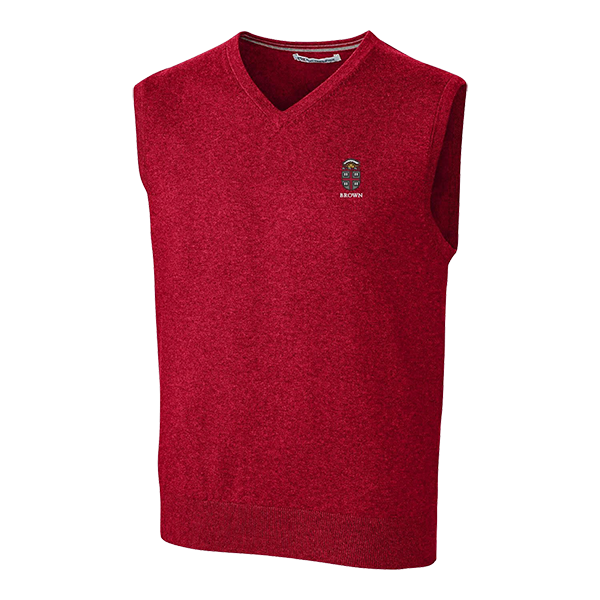 Please select option for Hillflint Crew Sweater - $95.99. 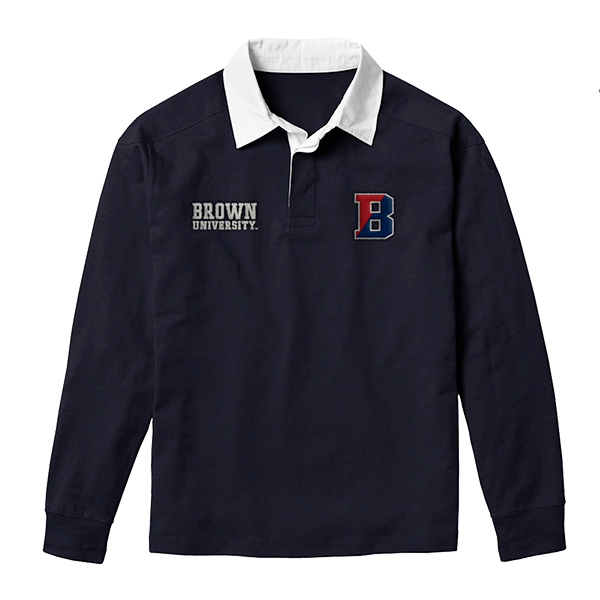 Please select option for League Jack Collared Long Sleeve Rugby Tee - Navy. 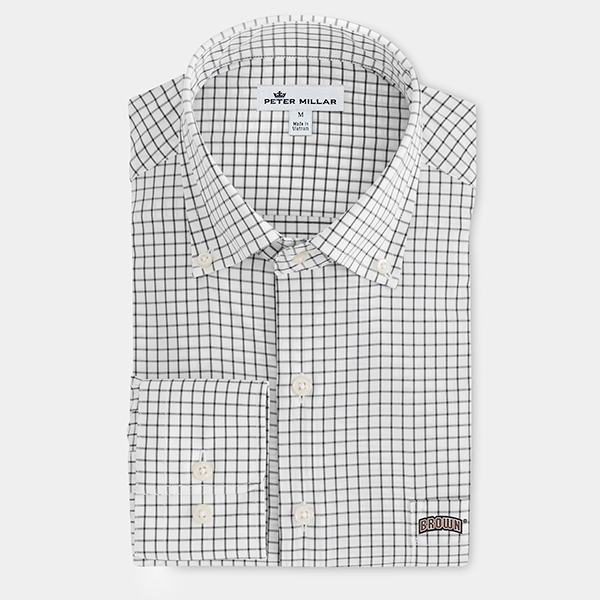 Please select option for Peter Millar Tattersall Woven Shirt.